When certain grapes ripen, the skins change colour and the juice acquires substance. 99.9% of Pinot Grigio is pressed, chilled and sulphur immediately, then cold-fermented in massive tanks before filtering and being given another hit of sulphur. Below are some gems that illustrate that you can make a silk purse out of…silk. Fuoripista means off the beaten track, an apt description of this vineyard nestling under the pink-stoned Dolomites. 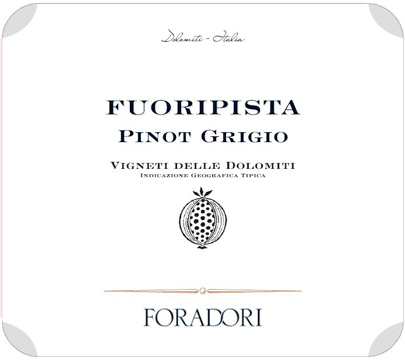 Foradori acquired the old-vine fruit a couple of years ago, and made a wine that has redefined this prosaic grape variety. Superb biodynamic farming allied to natural winemaking in Spanish tinajas, and eight months’ skin contact confers this bright and bonny onion skin coloured wine with its delicate perfume of dried and fresh flowers and cool energetic palate of river stones and herbs. Enchanting. 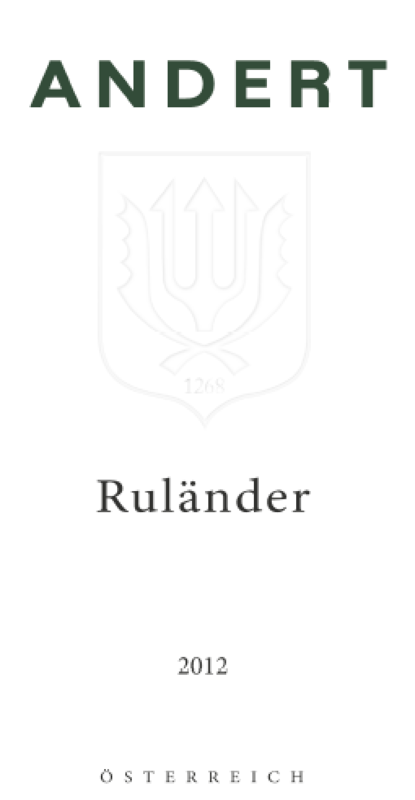 Pinot Gris is called Rulander in Austria and Germany. We are in the wild biodynamically-farmed vineyards belonging to Michael and Erich Andert. This version takes us to Princic country, possessing an exquisite salmon colour with amber highlights. The nose, or whatever we choose to call it, is (sweet)meaty and a little bit smoky, the palate is smooth and almost velvety with suggestions of pink grapefruit, yet also salty with a bitter almond note on the finish. All Andert’s wines have a faintly medicinal bitter, fennel-inflected after-taste. This may to be do with the fact that the vines share their space with wild fennel and many other plants and herbs that have the same anise profile. They also possess what we like to describe as “natural energy”. Easy in themselves or with a relaxed intensity, not inviting judgement, but utterly and vitally redolent of the vineyards from which they are born. Your palate is bored. Your palate needs a sock in the gills. Let’s shock it. It lives! They live. The whites are yellower than ripe corn, cloudier than just-fermented cider, purer than the driven grape skin. Princic’s wines have the same feel as those of La Stoppa and Valentini: totally unfiltered and minimally sulphured, they taste of the earth, of rock salts and bitter stony fruits, in other words edgily natural. This may not be everyone’s cup of tea, but thank goodness in an era of branding and conformity that we have the opportunity to dance on the wilder shores of winemaking. The Pinot Grigio has a dark pink-amber colour, with exotic and ripe fruits, mutating all the time. Apricot skin, mandarin and ginger surge across the tongue and there’s a touch of astringency to remind you of the original grape. Not just a great Pinot Grigio, a wine reeking (in the classiest sense) of individuality. 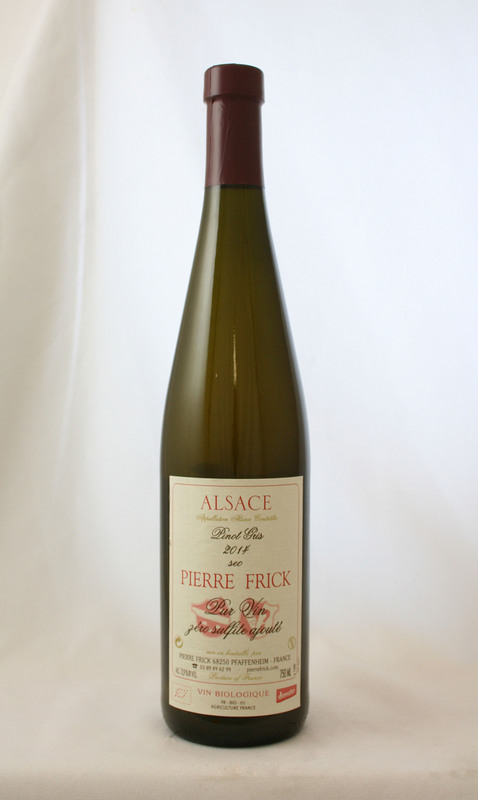 At the forefront of the biodynamic movement Jean-Pierre Frick makes wines that are scrupulously natural. Frick converted in 1981 after having already turned to organics in 1970. Altogether he farms 12 hectares of vineyards, in several plots, a third of which is rented. Wines are fermented solely with indigenous yeasts and there is no acidification or chaptalisation. Each year, a couple of the cuvées are made without any sulphur dioxide additions. From promoting biodiversity in the vineyard to hand harvesting all the grapes to using little and even no sulphur during the winemaking to ageing in large old oak casks, Jean-Pierre aspires to capture the essence of the grape and also the flavour of the terroir. Harvesting is done by hand, which is expensive, but is important for ‘the social side experienced during harvest and the search of quality through grape selection’. In the winery whole-bunch pressing is used, the juice is left to settle overnight. Ferment is ambient with indigenous yeasts and old oak casks, averaging 3000 litres capacity, are used for maturation. No filtration, no fining agents, no SO2 added at any point. Frick’s wines feel like they are in constant flux. 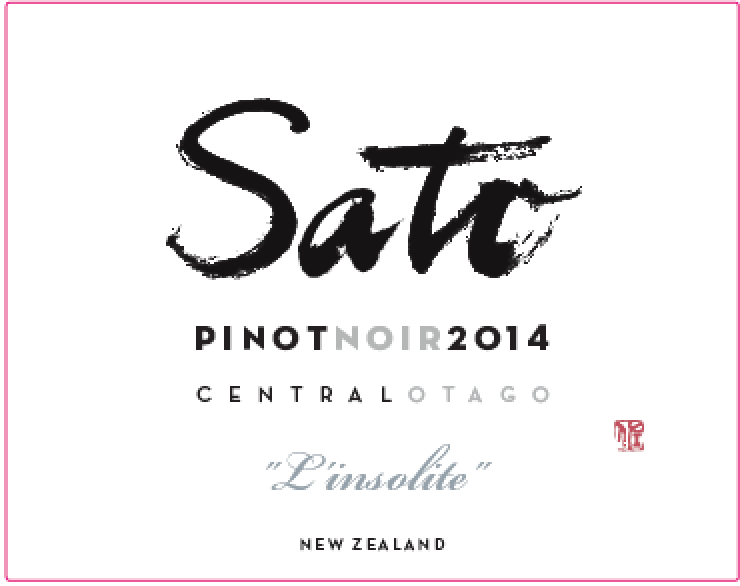 This Pinot Gris is as golden as an early autumn afternoon and communicates the gentle warmth of sun-burnished fruit. Golden plums, juicy pears and apple compote sprinkled with cinnamon and clove, but more textural than exotic, and just a touch of astringency. In 2013 the “Amphorae Project” began as an attempt to marry Andrew’s two passions–making wine and making art. Drawing inspiration from Elisabetta Foradori (q.v. ), Andrew began experimenting with producing wine in amphora. The terracotta amphorae are incredible insulators. The fermentation in amphorae has been much cooler and more prolonged compared to conventional fermentation vessels. Fermenting in amphorae means natural temperature control. Primary fermentation takes around three weeks to a month for completion. Largely because of the cool and prolonged fermentation the wines coming from amphorae are bright, high toned and very compelling. Ageing wines in the vessels has also yielded some incredibly interesting results. There is a common textural component similar to dusty brick. There exists an iron-driven earth tone regardless of varietal. 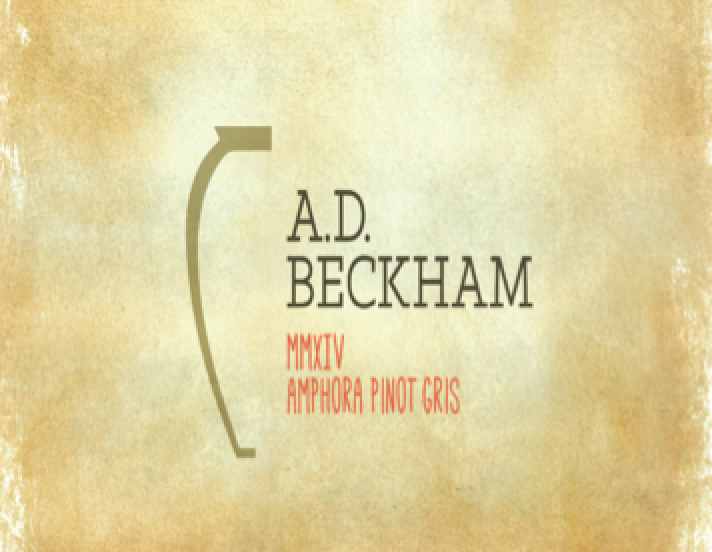 The A.D. Beckham Amphora wines are fermented with native yeasts, no commercial inoculation and are unfined and unfiltered. Beckham Estate Vineyard Pinot Gris is fermented 30 + days on skins in the amphorae forged by Andrew Beckham himself. This rosy-hued wine gets better and better; herbs, spice and skin tannin season the lifted red cherry fruit and there are subtle notes of earth and dry honey. This starts already out of the box by being a blend of Pinot Gris 85%, Riesling 15%, although this is not so crazy when you think of the respective characteristics of these two varieties. The grapes were all destemmed to a small open top fermenter- no enzyme, no additives and no SO2 added before and during fermentation. Pre-fermentation soaking continued for several days. One remontage was done at the end of pre-soak period. After pressing the wild ferment starts (with the occasional punchdown) and continues for 2 weeks. Then, the fermenter was closed with a lid and the wine was soaked on skins for two and a half months. The wine does its malo, spends a further ten months in used barrels and tanks and is bottling without filtration, fining or SO2. In a country where the rush to get white wines into the market means that they barely finish fermentation before they are bottled, this is a wine that spends 15 months on the lees, not to mention the extended period on the grape skins. What you get in the end is something quite unique and magnificent; multi-layered to the point of great complexity, rich in warm beeswaxy orchard fruits, spices, herbs and tannin. The Pinot Gris is from hand harvested, 100% destemmed fruits and spends 30 days on skins. The winemaking is natural using indigenous yeasts with the ambient ferment taking place in a mixture of barrels and tinajas (200-250L). The win undergoes a natural malolactic; there is no filtration, fining or sulphur used at all. Alex Craighead is a young vigneron who has travelled around the world making wine in various countries (including Japan). He has an intellectual approach to the subject, but through experimentation finds that his wines express themselves most resonantly without the addition of sulphur. Those who think orange/skin contact wines taste the same, think again. Parenthetically speaking, we don’t say that red wines taste the same because of skin contact so why do certain people level the charge at so-called orange wines? For example, Cambridge Road Cloudwalker (a PG from Martinborough) is from gravels and loess, whole bunch, short soak and bottled with its latent gas, is crunchy fun. The Don Pinot Gris from old clay soils, is deep amber, richer, spicier, a touch more oxidative (notes of butternut, roasted yellow spices) and needs time in the glass to open up and reveal its true (multi)colours.